Stade de Sclessin, officially called Stade Maurice Dufrasne, opened in 1909. The stadium was first nothing more than a pitch and players had to change in a nearby pub, but one year later a small stand, a few changing rooms, and canteen were built. Standard bought the ground in 1923, and subsequently started the construction of new concrete stands. By the late 1920s, Sclessin could hold about 24,000 spectators. 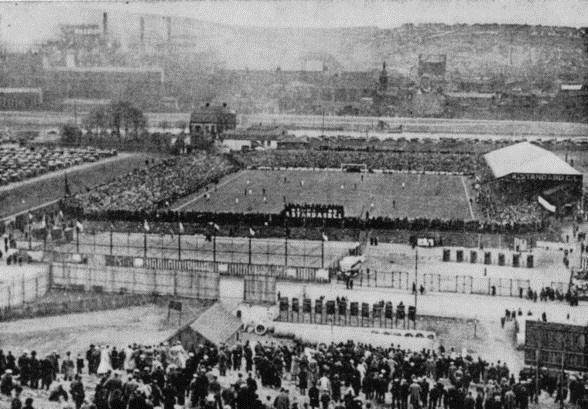 Further developments were made first in 1939 when a new terrace that could hold 20,000 fans was built, and next in the 1950s when additional seats got added to the stadium. Sclessin reached its maximum capacity in the early 1970s when one of the terraces got expanded and 43,000 people could pack the stands. 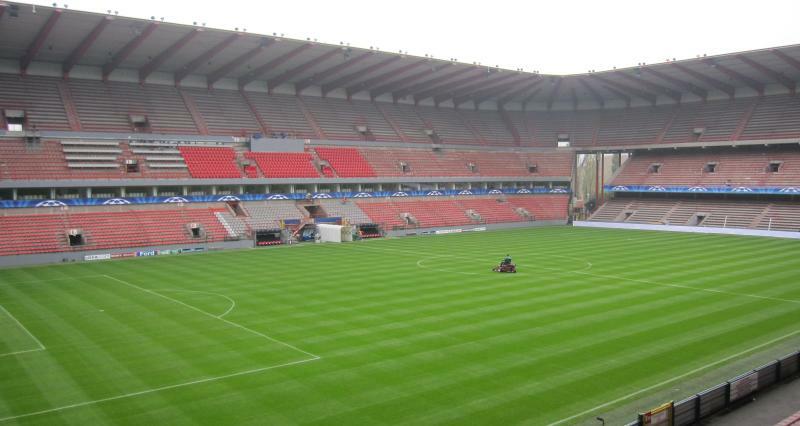 The stadium was one of the venues of the Euro 1972 championships, though only hosted the match for third place between Belgium and Hungary (2-1). Sclessin received a new main stand in 1985, and seven years later, in 1992, works started on the stand at the opposite side. Both ends got redeveloped in the late 1990s in preparation of the Euro 2000 tournament. During Euro 2000, three first round group matches got played at the stadium. 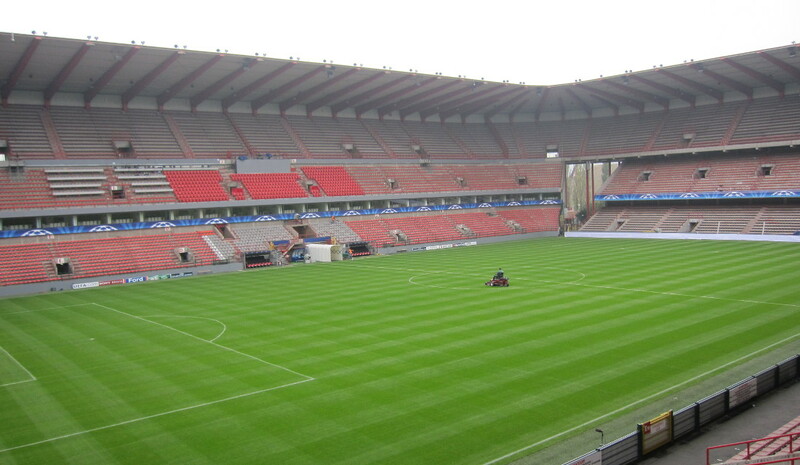 Stade de Sclessin is located in the south-west of Liege on the banks of the river Meuse. It lies slightly more than 5 kilometres from the city centre and 3.5 kilometres from Liege’s primary railway station Liege-Guillemins. From Liege-Guillemins take bus 2, 3, or 27 to get to the stadium. Buses leave frequently for the 10-minute ride to the stadium. Get off at stop SCLESSIN. 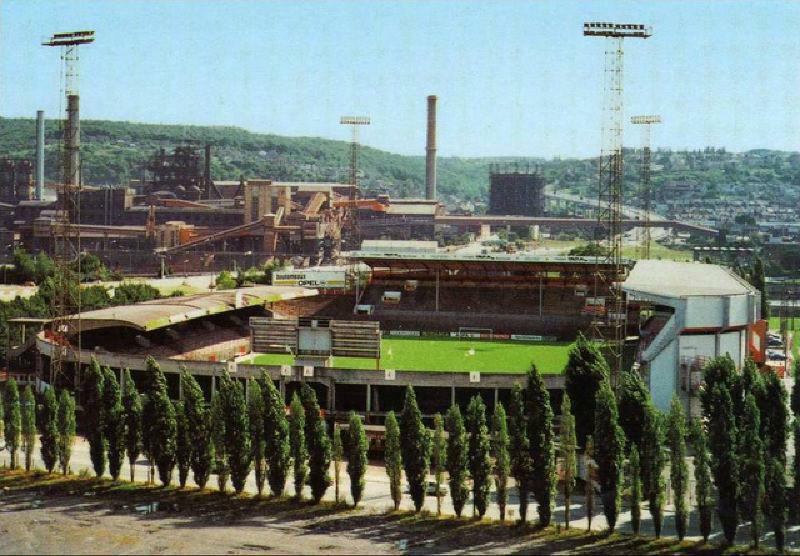 Stade de Sclessin is located in a not particularly appealing area that is a mix of industry, offices, and some residential housing. It is Belgium, so there are a few local pubs around, but otherwise it might be better to find something to eat and drink in Liege’s city centre. There are no hotels in the immediate vicinity of Sclessin, however picking one of the options near railway station Guillemins gets you quickly to the stadium by bus. Alternatively, there are a few more options in Liège’s city centre, or one could even consider staying in nearby Maastricht or Aachen, which both have pleasant historic city centre and are only a 30-minute train journey away. 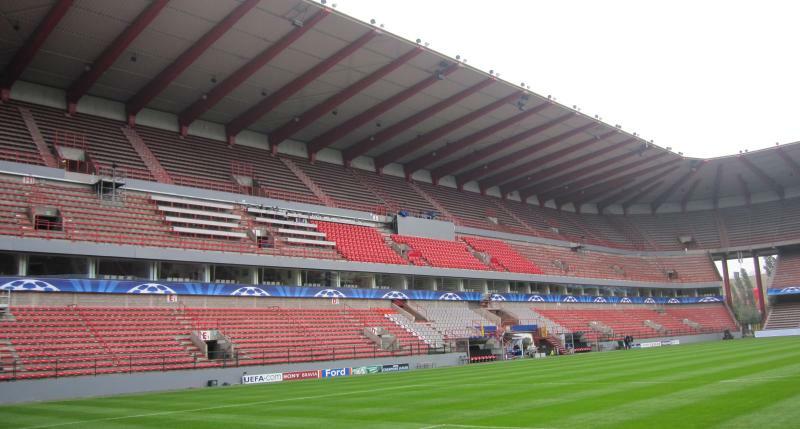 Tickets for Standard de Liege matches can be bought at the club office at the stadium. Generally, tickets cannot be bought on the gate of the stadium on the day of the match. Ticket prices range from €16.00 for a lower-tier seat behind the goal to €32.00 for a central seat at the main stand. Prices are increased for a number of top matches to between €18.00 to €43.00. You can find a seating map here. For more information call +32 (0) 4 229 98 98 or email billetterie@standard.be. Standard.sudpresse.be – Official website of Standard de Liège. Liege.be – Website of the tourist office of the city of Liège. Infotec.be – Liège public transport information.